China will continue to push forward free trade agreement talks with more than 20 economies along the Belt and Road Initiative this year after clinching 11 such deals in the region, senior commerce officials said on Wednesday. It will sign an FTA with Georgia and launch an FTA feasibility study with Mongolia during the Belt and Road Forum of International Cooperation in Beijing this weekend, Vice-Minister of Commerce Qian Keming said at a news conference. The country will also explore FTA feasibility studies with Nepal, Bangladesh and Moldova this year, Qian said. China has launched negotiations with the governments of Singapore and Pakistan to upgrade existing FTAs, Qian added. China has completed the fourth round of talks on tariff cuts with India, Sri Lanka, Bangladesh and Laos. "The upgraded protocol of the China-Association of Southeast Asian Nations FTA has been implemented since July. China is actively promoting Regional Comprehensive Economic Partnership negotiations, and FTA negotiations with Israel, the Maldives, Sri Lanka and the Gulf Cooperation Council," said Qian. The RCEP is a regional free trade pact between 16 economies including Australia, India and the ASEAN. China’s trade value with countries and regions along the trading routes reached more than 20 trillion yuan ($2.9 trillion) between 2014 and 2016. Chinese companies made $50 billion outbound direct investment in non-financial sectors and signed project contracts worth $304.9 billion in countries and regions along the routes between 2014 and 2016, Ministry of Commerce data showed. "We will further ease market access for foreign investment and build an international standard business environment to attract investment from these areas," said Zhang Xingfu, deputy director-general of the department of international trade and economic affairs at the ministry. Liu Hualong, chairman of China Railway Rolling Stock Corp Ltd, said the country’s top railway vehicle maker will deliver the first group of metro cars to Istanbul from its manufacturing facility in Turkey in the second half of this year. 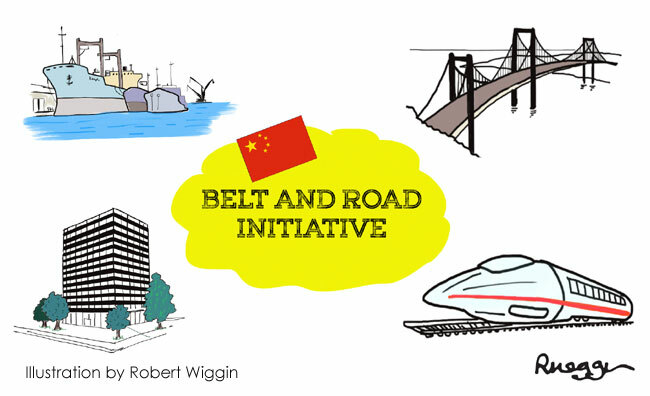 "Infrastructure projects and international capacity cooperation will boost economic growth and employment, and improved transport will further increase trade and economic exchanges and enhance the quality of growth in different countries or regions along the initiative," said Liu.